So, gauging interest in a mini-meet or whatever you'd like to term it, but basically a Rendezvous here in Knoydart. Bunkhouse - basic but all the comforts of home, even Wi-Fi if you can't do without. 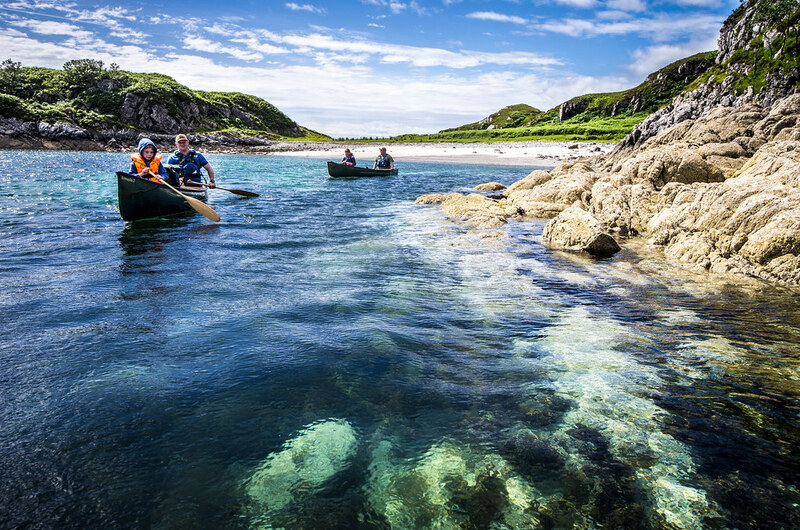 Two ferry services in the summer, both willing and able to convey canoes. Also a LARGE freight service that I could speak with to get ALL the canoes and heavy lifting done by. Possibility of local Powerboat drop off's with canoes to remoter locations. 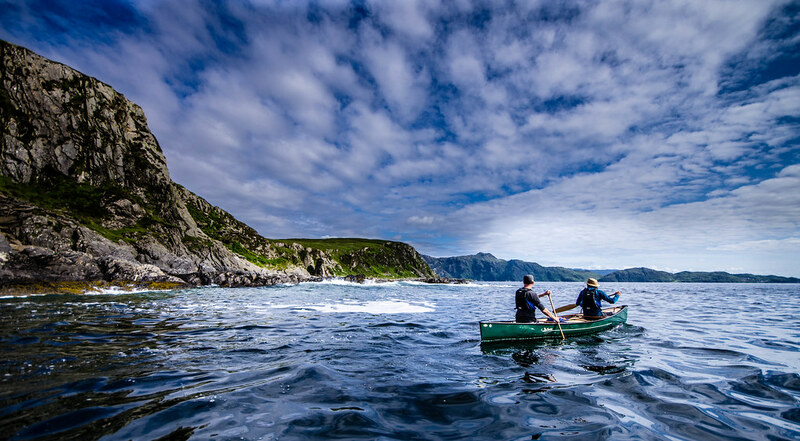 Open sea-loch with some great coastal paddling to remote beaches and coves, including local sheltered options. Otters, Porpoise, Sea-Eagles, Golden Eagle on regular basis, seals, and lots of other wildlife. Stunning backdrops. Abandoned settlements. Great Mackerel and Pollock fishing, drop a creel for your own Lobster and Langoustine..
Remotest mainland pub in the UK ( I know the landlord personally, and can arrange for a Ceilidh etc). Hill-Walking on the doorstep and remoter ventures available. 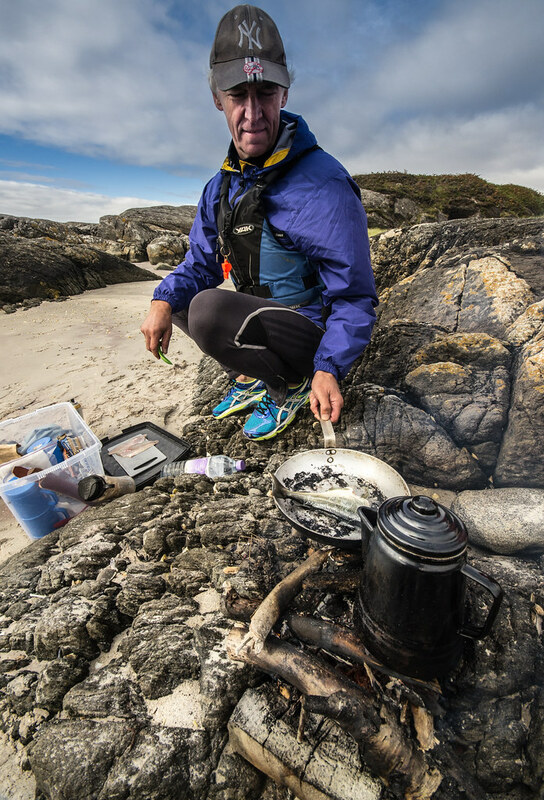 Anyone with good Bushcraft credentials could have a feast on the plate with some sea-shore foraging and a wander through the forests. I'm happy to either Guide groups or give some Coaching. and, probably a lot more besides..
No showers if you're at the campsite, although we could look at using the bunkhouse. Who is interested? If I can gauge numbers I can look at options locally for logistics and also look at parking for you all in Mallaig (Free by the way, can be limited in the summer). Not sure I can make it, I seem to have already planned my whole holiday diary and have almost no days left, and its a long way from Sussex on a Friday night! But if anybody CAN make it, I urge you to consider it strongly, it will be an unforgettable event. Definitely interested, be date dependent due to work, but if I can fit it in I will. ...within reason, I don't mind doing some shuttles in the van. Can seat 8 (including me) if I set it up right! Should be feasible to round up a few more to go with those I've got. May also be possible to get some from Tim / Edenwood. 4] idc --- dependent on persuading family, so any of those dates possible ... How close, and where's the nearest station if I'm going to try and bring a folding canoe by train/bus (as per Davy90's challenge)? If in doubt, hit it with a hammer!! How close, and where's the nearest station if I'm going to try and bring a folding canoe by train/bus (as per Davy90's challenge)? Last edited by GregandGinaS; 10th-February-2016 at 05:43 PM. I'd love to get there but not sure how. It would also depend on dates as I'm in Sweden (or driving there) from around 10/08. I'll check it out. Nearest Railway is Mallaig approx 100m from the ferry... 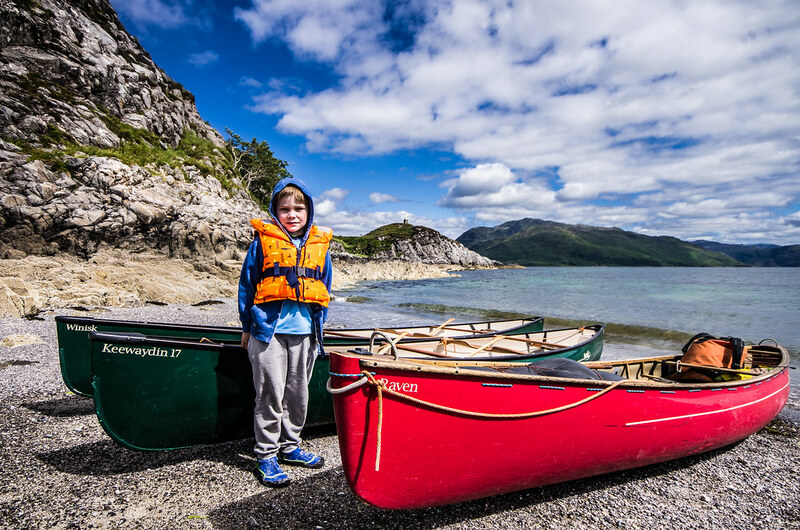 Accessible from London and most places inbetween via Glasgow and the Harry Potter Express from Fort William (another reason to bring the kids). Wow, I would love to come. I could do either late July or early August, weekend or midweek. So is it an option to get the train and borrow a canoe or is it the long drive with the canoe on the roof? The early bird may catch the worm... but the second mouse gets the cheese! Mark you just need to get yourself over here, we can sort out the pick up and drive up from the airport. Would any of the paddling be suitable for a novice, or would that be largely weather dependent? I'm a definite maybe, I've walked along the south side of Loch Nevis many years ago and have always wanted to visit knoydart. Only one or two of the folks in the pictures up top are novices, the rest are complete beginners with this being their first time ever in a canoe. 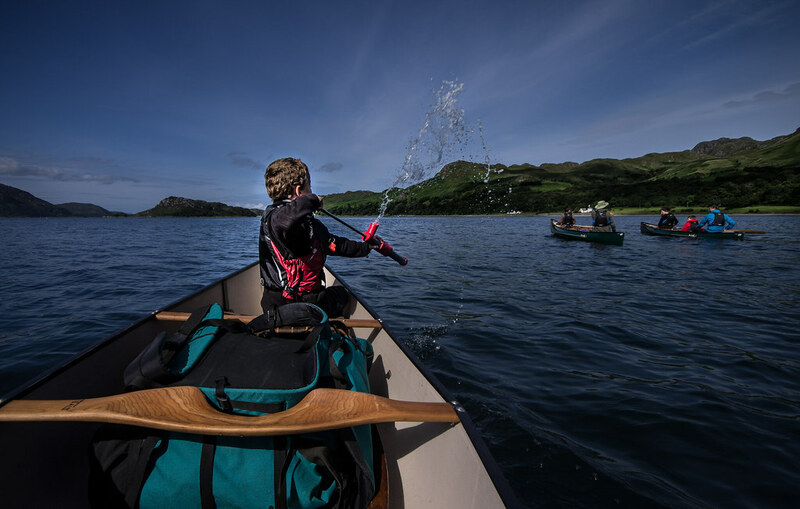 Everything is weather dependent, this is an adventurous environment, with the right sort of support paddling is available for all. You won't be shunted off to your oblivion, you won't be left behind because you can't keep up. Not worth it for you experientially and certainly not worth doing that to you from me - reputation-ally. Thanks Matt. I'll stick myself down as a maybe just now then. Will need to butter up my wife a bit and see if I can get a free pass for a few days. It's a part of Scotland that has been on my list of places to visit for a long time now. 6) Firedfromthecircus---If I can get a pass! 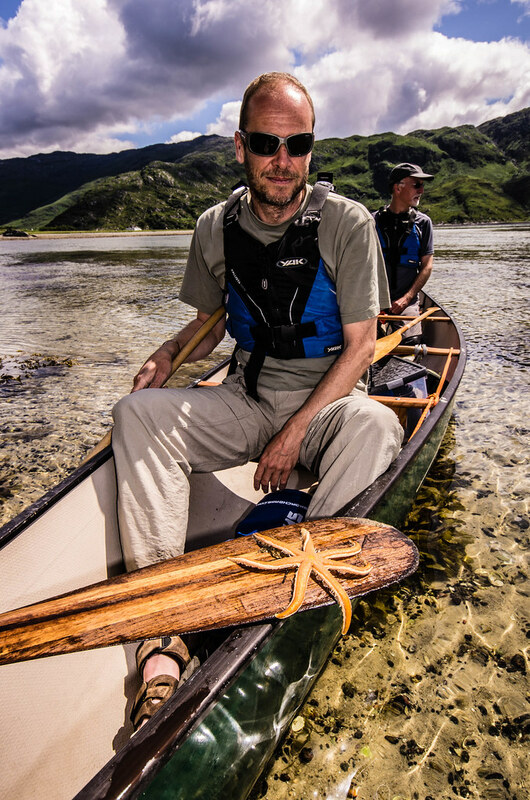 Any of the packrafting/man-portable contingent interested in walking and paddling in from Kinloch Hourn or Glenfinnan? Dates that suit me are 5-8 or 12-15 Aug.
Have paddled, hill walked, deer stalked and flown here so familiar with the terrain and likely routes. I've got so many plans this year to work it in around I can't even think about dates right now (slaloms, sea kayak races, grand canyon....), but it is a place I love and need to get back to. Hmm, Apache or Taran? Apache, Taran would be too fast, as well as not fitting in - but I could paddle myself out in it... just remember to miss Sgeir Dearg on the way back (I got lighthouse fixated and almost crashed into it on one trip - I knew it was there but was somehow drawn to it instead of away). See if I can get to the Mica mine this time - got turned back by a blizzard last time (it wasn't July in case you hadn't guessed that!). That's an Apache boat leaving for Mallaig from Inverie. Solo paddler on the 31st December 2015, weather around F4 - 7 out in the mouth of the loch..! Was a bit like that when Matt D paddled in a couple of days previously also. Nothing is impossible with some prior planning, common sense, an appreciation of the environment you're entering into. 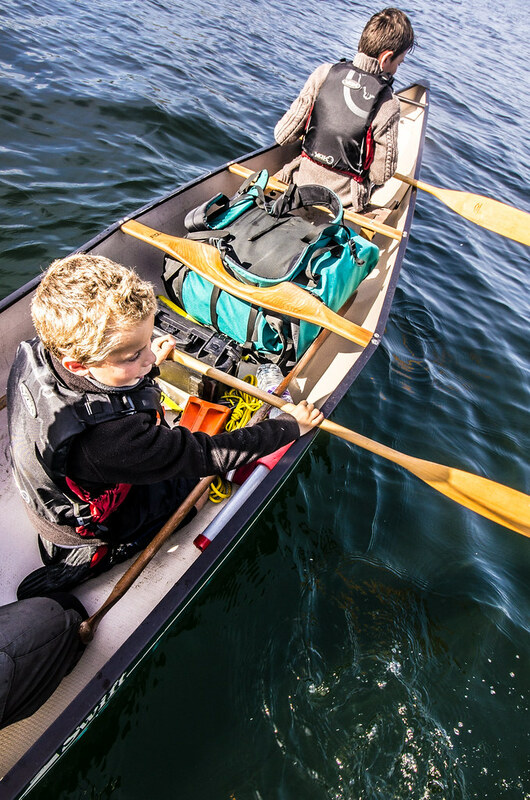 It's the Sea, it's Open Water, it's adventurous, it's real but it's not an environment that is unsuitable for the craft of choice - the CANOE. Good to see the interest. I will go visit the community and get a feel for a few things from this perspective. Last edited by mattT; 11th-February-2016 at 09:03 AM. Hah, the very dates I've just googled flights for, to see what might work...still only a maybe, though. cheers Matt, that does make it a bit easier to put some definition on it ... and also more likely too. I had my maps out last night after I posted checking how viable it would be for me - I know I can cruise all day at 6-7kmph in the Taran, but I have no idea how fast in the Apache, no more than half of that I would say, so roughly 12km with just over 1km crossing if I follow the shoreline to the nearest point, probably 4 hours of paddling minimum, nowhere really to take a break in the first 6km. If it's going to be too lively I'll know as I leave Mallaig and just turn around and go for the ferry! So a couple of updates. Potential to get a few locals down at the campsite with their instruments, will probably need to get a slush fund going for this. Use of showers at the Bunkhouse for those camping should be possible. Use of the Village Hall as a wet weather social area. If we use this there will be a contribution donation - trying to get this as a use it = donate, don't use it = nothing to pay. 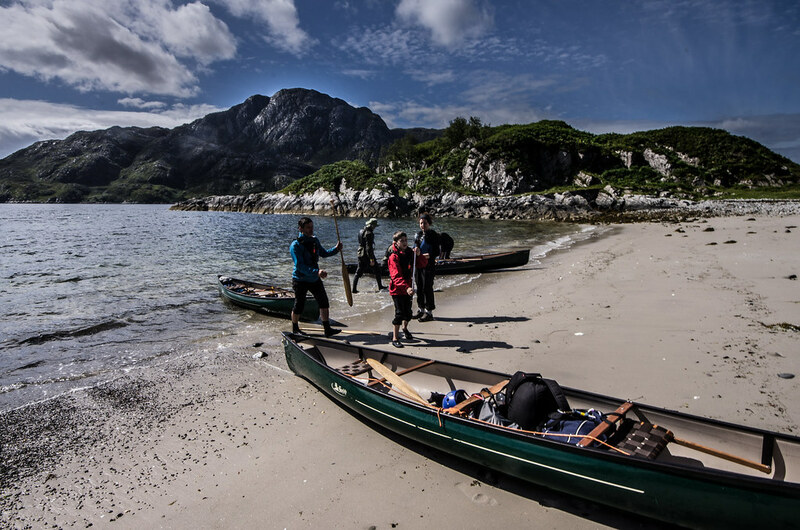 Shuttles to/from Airor on the coast by vehicle + canoe trailer to allow for one way trips available. Matt, do you know the Mallaig-Inverie ferry times on a Friday (probably latest), and on a Monday (early as poss)? If not, will google and post up here later. All we need to know now is how much they charge for transporting the canoes on the ferry over to Inverie. £5 per canoe currently. But if we can arrange for some kind of mass transportation... I will ask the operator tomorrow when/if I see him about possibilities. It's not that vehicle access is not allowed, there is no ferry to get vehicles here for the general public and only a few km's of road, most of which is not tarmac. the campsite is right on the water. Campsite is around £5.00 per night. Will check for you though. Bunkhouse is £17.00 per night, will check that also. If folk want any other kind of accommodation, ask, and I'll find the info. There is Self-Catering options, one B&B and some luxury places (£300 - 1000 and more per weekend). Super, campsite for me under my tarp with an emergency 1 man tent just in case the wind is bad. I would love to say yes outright, but I have to await my work rota being issued end of April 16. So subject to that I am due an adventure. I'm a maybe. Remember a pat on the back is just the recce for the knife!!! Hi, Not been to Knoydart, but had a good week at Arisaig ( I blame JK for his blogs ) on a camp site but went to Mallaig for stuff and a wonder round on a few days, had a walk around the dock area and there are people waiting for the boats with rucksacks plus alot had two wheel trolleys with gear well strapped on for the campsite. Some will have come by train and some by cars and left in carpark on the seafront across from train station or other places, Just a heads up on how to get gear about there, and at the other side should help. Never had been in that area before but it was well worth the effort to get there just for the SUN sets, from Manchester towing a small Eriba. This should be a brill trip for all that take part. I'm looking at this with interest. I could fly to Glasgow and get the train up to Mallaig on the Friday. But I'd need to borrow a canoe, or paddle tandem if anyone would have me. So put me down as a possible please. Just got my passout stamped, I fear the price will be lots of decorating in the mean time but I'm in. If it helps others I'll be driving up from Derby area, leaving early on the Friday Morning and returning reasonably early on the Monday with space for 3 passengers and 1 canoe on the roof and would be happy to give anyone a lift. Definitely interested in doing this but it looks like it will be just me as the rest of the Bootstrap clan will be in Norfolk. 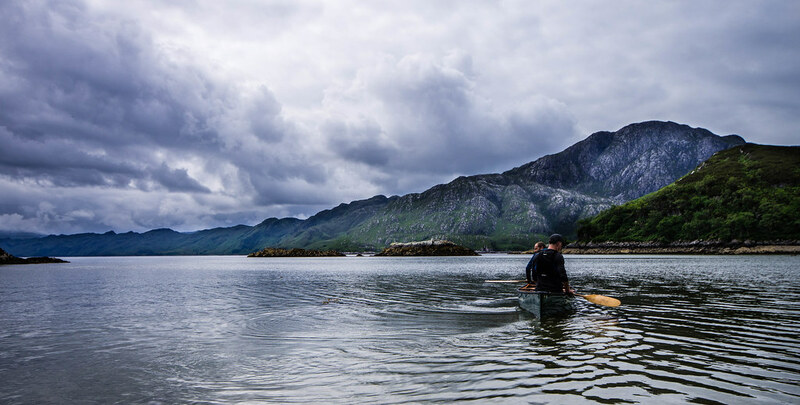 As this event is a few months away, I don't wish it to get buried here within SOTP, so will over the next couple of weeks set up a page on my website at www.wilderness-canoe.co.uk/trips/ to highlight the opportunities during the Knoydart Meet. Those wishing to join the event should still do so here within this thread however. 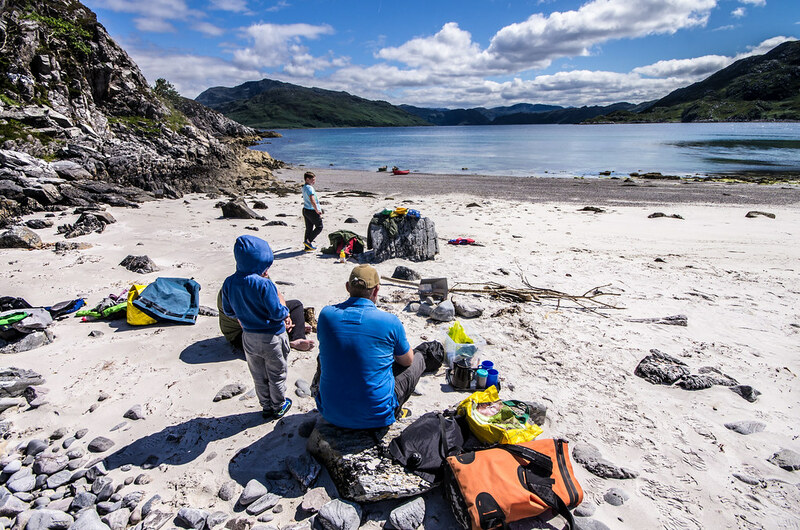 I would really like this meet to engage with you in visiting Knoydart and to involve the community here as much as possible. With that in mind it would be great if we can achieve around 30 folks who will be definite in coming. With this kind of number organising a Pizza night on the Friday arrival, contributing to a Shuttle service for trips, contributing to the Village hall for its possible use etc all become so much more possible. To clarify also, the ferry is not the kind you will see sailing the channel or similar, the two services provided are small craft capable of taking only a dozen or so passengers at any one time (on the most regular service); www.knoydartferry.com and westernislescruises.co.uk/ . Link to a Bing map: http://binged.it/1QbatiD with a couple of interest points. I'll prepare some other maps closer to the time. Midges? Or is it too windy? The Campsite is generally not too bad, and this last summer there were hardly any midges the whole period. I'm going to confirm. By hook or crook, I'll make it - barring any unforseen disasters. As this will be 1 of my weeks off in the summer I may want to stop a little longer. So may arrive earlier and leave later, perhaps a week. This we be like being a child in a sweet shop for me! I want to do some walking and fishing also, would the campsite be alright with this?